‘After Agency’ is a provocation. It seems that agency might be in trouble – what we think of it, what we make of it, what and who has it and what emerges in its unfolding or de-folding. 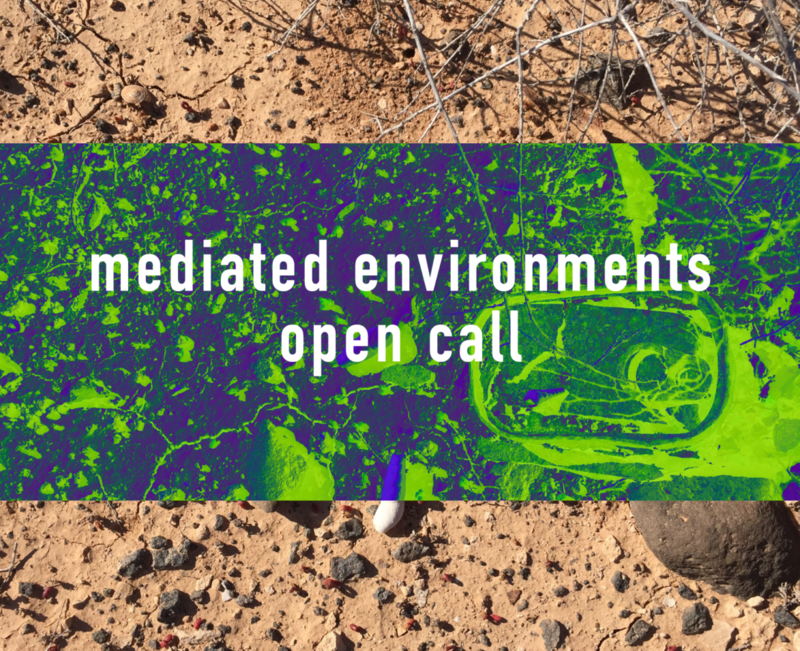 Scholars have informed us of the more-than-human agencies of emergent worlds (Haraway, 2008; Tsing, 2015; Kirsky, 2015; Kohn, 2013) and the speculative becomings of/with agencies that alter the possibility of worlds (Morton, 2013; Taussig, 2018; Murphy, 2017; Weizman, 2012; Barad, 2007) in the context of capitalist violence, anthropogenic toxicities and the timely matter of life itself. ‘Agency’ and the collective sensibility of agency inform the practice of research, knowledge production, methodologies and methods of situated thinking with the world at large. The posthuman and ontological turn in the wake of the Anthropocene (Braidotti, 2013; Wark, 2015; Chandler, 2018; Castro, 2009; Escobar, 2018) offers a certain opportunity to push further, conceptual questionings of what is conventionally thought of as agency. Attuned to the situatedness of each of our many political encounters – we notice the spectre of financial violence, white supremacy and capitalist injustice wound up in the figuring of our presumed times “after agency.” Does this not then call for a reimagining of our methods and methodologies? Guided by three web interventions by McKenzie Wark, Rosi Braidotti and Peter Kahn, this international conference situated at the Humanities/Art/Technology Research Center in Poznan, Poland calls on participants (academics, artists, performers, activists, readers and writers) to join us at the confluence of three streams discussing: Resistance, Speculation, and Adaptation in these troubled times of agency. What characterizes academic labor in the contemporary moment is a severance between scholarly research and ‘on the ground’ strategies of resistance. There are, of course, some exceptions. McKenzie Wark’s Molecular Red, for one, strikes a call to develop poetic forms of knowledge production which can provide new strategies of living in the Capitalocene. This workshop stream responds obliquely to Wark’s call and organizes itself around the concept of resistance and the knowledge economies that undergird our understanding of agential power. Given the rise of algorithmic governance (the cybernetic hypothesis) and the generational violence of deep-time environmental destruction (the Anthropocene hypothesis), we must move beyond a mere description of the situation we find ourselves in and ask – what tools are available to us? What techniques and practices of resistance can we call upon that are still viable? And how can we recognize when resistance itself becomes a hubristic normative reproduction at best, and at worst – a ‘disruptive’ capitalist ethos? This stream welcomes experimental yet pragmatic approaches to strategies of resistance. No site of knowledge production will be privileged. We will think pragmatically about revolutionary practices that oppose traditional concepts of liberal solutionism. Whether our strategies of resistance begin in the fields of art, economics, science, or social organizing, we will be unabashedly antagonistic and (anti)political in our aims. We welcome presentations that engage emerging political technologies, social movements, philosophies of living, and artistic refusals of all sorts. 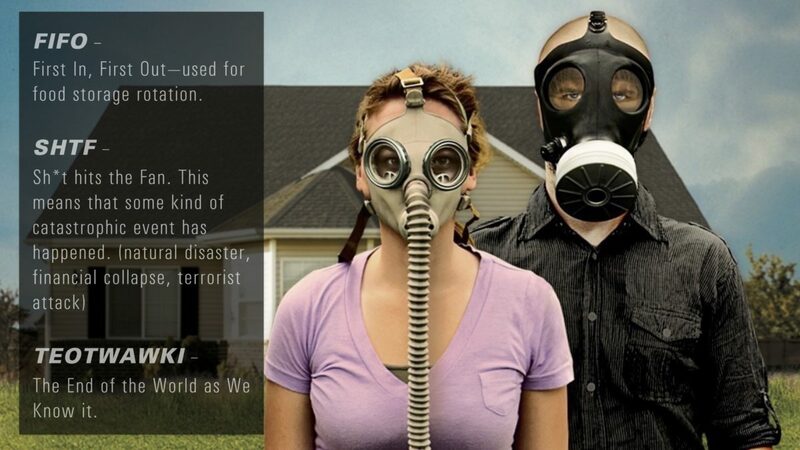 Our goal is to think through resistance as a way to de-naturalize the world and to destroy that which destroys us. The idea of speculation requires an agential and compositional inquiry. Speculation seems to form and ingrain worlds, in turbulence and beyond. Speculative acts in art, finance, knowledge production and a range of interacting and intra-acting world-making disciplines, imply becomings. Drawing from Rosi Braidotti’s notion of the posthuman and a posthuman humanities, this stream invites a conversation on speculating-with and thinking of speculation in the context of affirming bonds “that locates the subject in the flow of relations with multiple others” (Braidotti 2016, 99). What circulations can a speculative posthuman ethics speak to? What are some of the implications of this thinking on our collective practices? What are some of the challenges of this agenda? How do situated stories and ontologies speak to the project? Recognizing the need for a more-than-human circulation in the posthuman circulation of stories, this stream is keen for a situated engagement with the HAT Research Center as a situated site of material and discourse – re-forming, re-thinking and speculating with the living, in finding allies in these precarious airs and times. We desire speculation in decolonial terms. We seek speculative assistance in-trouble and we intend on gathering a conversation on our research and practice to ask where could these speculations go? The concept of adaptation is crucial in considering the increasing technological impact on “nature” and evolutionary changes in human behaviour. For many scientists, such as the psychologist Peter Kahn, adaptation describes an organism’s adjustment to its environment (Kahn, 2011). Thus, adaptation is not in itself normative; it is a mostly multilayered and a multidirectional set of actions. What Kahn stresses in his analysis is that the inalienable element of adaptive processes is harm. He demarcates two types of harm: direct harm, and the harm of unfulfilled flourishing. In this stream, we would like to discuss unintentional harm in the broader problematics of agential adaptation. Indirect forms of harm should push us toward re-contextualizing human and nonhuman agencies inscribed in the Anthropocene (with all the different terminological options, such as the Capitalocene, Plantationocene, Chthulucene etc.). We are also interested in refiguring the common perception of the supposed ‘nonagentiality’ of human and nonhuman forces, asking about harm in post- and de-colonial research and in necropolitics (A. Mbembe 2003, 2016). From the perspective of social changes and new policies, we are going to discuss to what extent harm could be seen as a necessary and controlled condition for resilient and adaptive societies on both the local and global scale? The length of the abstract must be between 300 and 500 words (excluding title, keywords and references). All the abstracts/proposals will be peer-reviewed by two external reviewers. Please state in the abstract precisely the form of presentation and the title of the stream you are going to submit the presentation. Presentations delivered during the conference should not be longer than 20 minutes. There is no conference fee for the speakers. We will also be able to offer accommodation (12-14 November 2019) for the speakers; coffee and lunch during the conference days. There will be a monograph published after the conference, with selected papers post peer review. Zapraszamy młodych badaczy różnych dyscyplin oraz artystów do zgłoszenia swojego udziału w projekcie naukowym Środowiska Negocjowane realizowanym w ramach grantu Narodowego Programu Rozwoju Humanistyki przez Humanities /Art /Technology Research Center (Uniwersytet im. Adama Mickiewicza w Poznaniu) pod kierunkiem prof. UAM Agnieszki Jelewskiej oraz dra Michała Krawczaka. Głównym celem projektu jest integracja badań wywodzących się z myśli humanistycznej i dyskursów środowiskowych oraz nowych praktyk artystycznych sytuujących się w ramach wyznaczonych zagadnień enwironmetalnych, w celu zaprojektowania i przetestowania w grupach roboczych nowatorskiego podejścia poznawczego do najnowszej problematyki interrelacji człowiek-środowisko. Tym samym chodzi o zespołowe wytworzenie transdyscyplinarnych metod badawczych służących ponownemu sformułowaniu perspektywy spojrzenia na problemy środowiskowe, w które uwikłany jest współczesny człowiek w sytuacji naukowego projektowania i technologicznego przyspieszenia. Integralną częścią projektu będą spotkania warsztatowo-seminaryjne realizowane w transdyscyplinarnej grupie 15 młodych badaczy (do 35 roku życia). Grupa zostanie wyłoniona spośród osób, które odpowiedzą na open-call i wyrażą chęć uczestniczenia w projekcie. Kryteriami oceny przy wyborze uczestników będą posiadane przez nich kompetencje naukowe i/lub artystyczne (grupa składać się będzie z przedstawicieli różnych dyscyplin nauk humanistycznych, społecznych, przyrodniczych, ścisłych i technicznych, a także artystów) oraz chęć nawiązania transdyscyplinarnego dialogu. Wybór dokonany zostanie na podstawie wypełnionego formularza zgłoszeniowego. Zaplanowano pięć spotkań grupy roboczej, każde spotkanie składać się będzie z tematycznego warsztatu praktycznego oraz seminarium. Warsztaty przeprowadzone zostaną przez prof UAM dr hab. Agnieszkę Jelewską, dra Michała Krawczaka oraz trzech badaczy z Polski z zakresu nauk o klimacie, kognitywistyki oraz genetyki i biotechnologii. Warsztaty dotyczyć będą takich szczegółowych zagadnień jak: inteligencja ambientalna, neurokognitywistyka, bio-informatyka, genetyka, Antropocen, klimatologia, ekologia słyszenia, studia enwironmentalne, praktyki transdyscyplinarne i odbywać się będą w laboratoriach naukowych Uniwersytetu im. Adama Mickiewicza, Uniwersytetu Mikołaja Kopernika w Toruniu oraz Uniwersytetu Warszawskiego. Uczestnicy projektu będą mieli status wykonawcy grantu, wyniki prac zespołu publikowane będą na dedykowanej projektowi stronie internetowej. W ramach realizacji projektu przewidziane jest także powstanie książki zbiorowej, w której będą mogły znaleźć się wybrane artykuły. Dodatkową częścią będą trzy webinaria prowadzone przez zagranicznych ekspertów. Celem webinariów jest poszerzenie perspektywy badawczej grupy roboczej o wieloletnie doświadczenia praktyczno-teoretyczne uznanych autorytetów (webinaria prowadzone będą w języku angielskim). Zaplanowane jest minimum 5 (2-3 dniowych) zjazdów w 2019 roku (terminy poszczególnych spotkań ustalone zostaną z uczestnikami grupy roboczej). Za udział w projekcie uczestnicy otrzymają wynagrodzenie w kwocie: 3000 zł brutto (na podstawie umowy). Nie przewiduje się zwrotów kosztów dojazdów ani pokrycia kosztów noclegów. Osoby zainteresowane udziałem w projekcie prosimy o wypełnienie formularza zgłoszeniowego i przesłanie go na adres: michal.krawczak@amu.edu.pl do 25.01.2019 roku. Miło nam poinformować, że HAT Research Center zostało członkiem Leonardo/ISAST (The International Society for the Arts, Sciences and Technology). 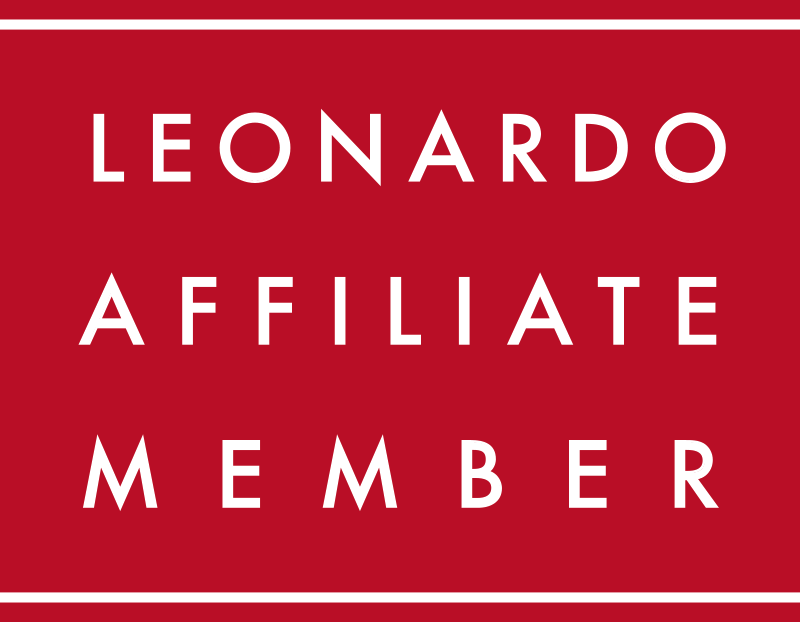 Leonardo/The International Society for the Arts, Sciences and Technology (Leonardo/ISAST) jest międzynarodową organizacją wspierającą i inicjującą inter i transdyscyplinarne projekty w środowiskach naukowych i artystycznych skupionych wokół nowych technologii. Organizacja odpowiedzialna jest także za prowadzenie czasopisma naukowego Leonardo (wydawanego przez MIT Press), czasopisma elektronicznego Leonardo Music Journal oraz Leonardo Electronic Almanac a także książkowej serii wydawniczej w MIT Press Leonardo Book Series. Czasopismo Leonardo zostało założone w 1968 roku w Paryżu przez Franka Malinę, artystę kinetycznego oraz pioniera astronautyki. Malina postrzegał ówczesną rolę czasopisma jako międzynarodowego kanału komunikacyjnego pomiędzy artystami i naukowcami, którzy otwarci są na interdyscyplinarną wymianę kompetencji, i dla których technologia stanowi ważny element pracy twórczej. Obecnie ISAST jest jedną z największych organizacji skupiających artystów, naukowców, myślicieli, projektantów, inżynierów zainteresowanych projektami transdyscyplinarnymi oraz nowymi i eksperymentalnymi technologiami . Więcej o Leonardo/ISAST można przeczytać na stronie organizacji. Jakie funkcje spełnia sztuka we współczesnym modelu kultury, który determinowany jest w dużej mierze zarówno przez odkrycia i procedury naukowe, jak też przez intensywny rozwój technologiczny? Ziemia coraz częściej postrzegana jest jako globalne laboratorium, którego procesy nie tylko można analizować, ale i starać się je kontrolować. W tym modelu sztuka ma bardzo duże znaczenie – jako forma mediacji, translacji, ale i krytyki nowej rzeczywistości. W czasie wykładu podejmiemy próbę przedstawienia najnowszych zjawisk z pogranicza praktyki artystycznej i laboratoryjnej, zastanowimy się, czy sztuka może być potraktowana jako eksperymentalna praktyka naukowa i czy nauka może tworzyć współcześnie istotne koncepcje mające twórczy potencjał? Zapraszamy na wykład otwarty prof. Agnieszki Jelewskiej pt. Future is Now, czyli dlaczego nie będzie przyszłości w ramach wykładów Pracowni Pytań Granicznych 1 czerwca o godz. 18.45, Sala Śniadeckich Collegium Maius UAM. W jaki sposób pracować z technologią w sztuce? Jak prowadzić badania w sztuce z wykorzystaniem technologii? Gdzie kończy się doświadczenie „naturalne” a zaczyna „technologiczne”? Na te, i inne pytania będziemy szukać odpowiedzi w czasie zajęć laboratoryjnych. Wszystkie ćwiczenia praktyczne połączone będą z istotnymi zagadnieniami współczesnej sztuki i nauki – tak aby sztuka, nauka i technologia stanowiły wspólną perspektywę postrzegania rzeczywistości. Szczególnym narzędziem, które będziemy eksplorować będzie dźwięk i mechanizmy jego somatycznego doświadczania. Dźwięk będziemy zatem traktować nie tylko jako słyszalną falę akustyczną, ale także jako element przestrzeni wchodzący w bezpośrednie interakcje z naszym ciałem. Efektem pracy będzie wspólne stworzenie przestrzeni performatywnej opartej o instalację dźwiękową, projekcję wideo i obiekty dźwiękowe (ostateczna forma będzie wynikiem interakcji pomiędzy uczestnikami laboratorium). W ramach pierwszego obszaru podyskutujemy na temat najnowszych koncepcji estetyki molekularnej, transwersalności doświadczenia dźwięku, mechanizmów percepcji sonicznej w przestrzeni, słyszenia ciałem, doświadczenia dźwięku w ruchu (a także doświadczenia ruchu w przestrzeni dźwięku) itd. Drugi obszar to zderzenie się z fascynującymi teoriami dotyczącymi współczesnych koncepcji psychogeologicznych, na nowo systematyzujących ludzkie doświadczanie tego, co „ożywione” i „nieożywione”, postulujących rozumienie geologii jako źródła życia i procesów psychologicznych. W tej części interesować nas będą także nowoczesne mechanizmy biokomunikacyjne, bioakustyczne i biosemiotyczne, opisywane w badaniach naukowych. Wszystkie te zagadnienia, choć wydają się bardzo skomplikowane i teoretyczne, służyć nam będą przede wszystkim jako poszerzenie perspektywy poznawczej do działań twórczych. W czasie naszego intensywnego laboratorium będą one wykorzystywane jako narzędzia do pracy praktycznej z technologią. W czasie spotkań stosować będziemy różne formy pracy – m.in. warsztatu technicznego, w czasie którego pracować będziemy nad instalacją, czy realizację eksperymentów w różnych przestrzeniach (otwartych/zamkniętych, naturalnych/urbanistycznych). Warsztat przeznaczony jest dla osób otwartych na działania transdyscyplinarne i eksperymentalne, praktyków i teoretyków wszystkich dziedzin, studentów i absolwentów. Wszystkie narzędzia do pracy zapewniamy my. Od uczestników oczekujemy zaangażowania i bardzo otwartych głów. Co trzeba zrobić, aby wziąć udział w laboratorium? Wystarczy wysłać zgłoszenie na adres: a.krolica@ptt-poznan.pl. O wynikach naboru uczestnicy zostaną powiadomieni indywidualnie drogą mailową na adres podany w zgłoszeniu do 1 lipca 2017 roku. 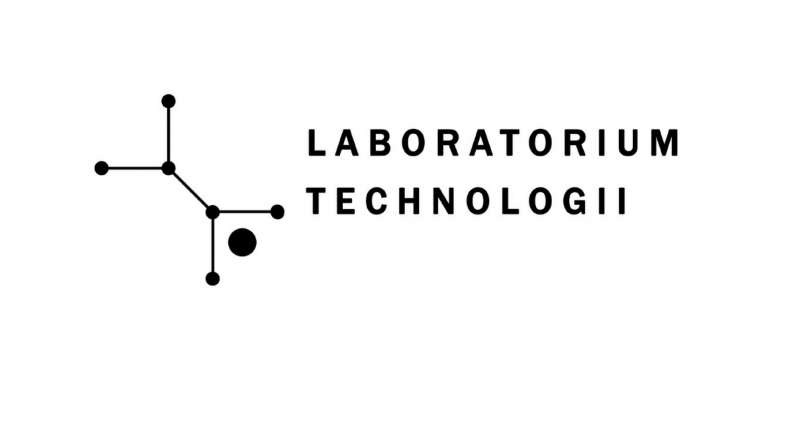 Udział w laboratoriach jest bezpłatny*, o ile uczestnik będzie obecny na wszystkich zajęciach. Zgłoszenie powinno zawierać: list motywacyjny z CV oraz informację o oczekiwaniach uczestnika. 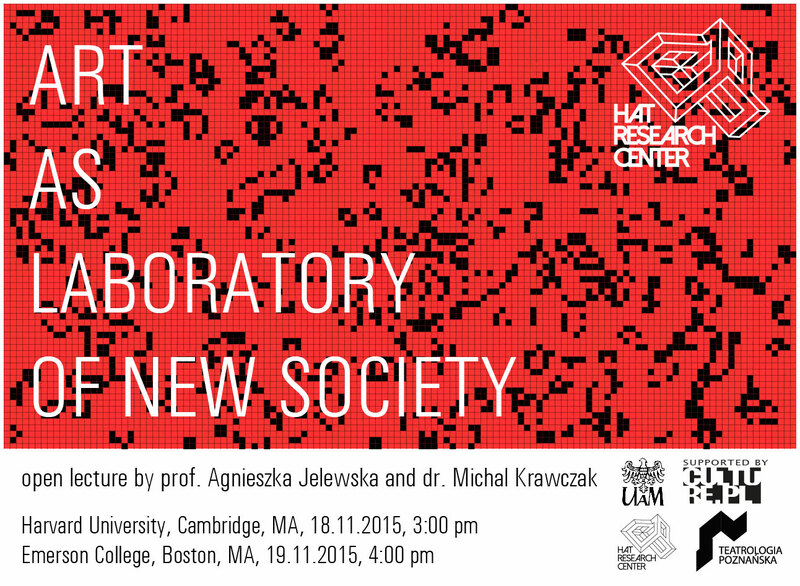 Zapraszamy na wykłady otwarte Agnieszki Jelewskiej i Michała Krawczaka „Art as Laboratory of New Society” na Harvard University (Cambridge USA) oraz Emerson College (Boston USA). Instalacja Post-Apocalypsis nagrodzona Złotym Medalem na 13. Praskim Quadriennale w ramach sekcji Ekspozycja Narodowa prezentowana będzie w Instytucie im. Jerzego Grotowskiego we Wrocławiu. Instalacja czynna codziennie w godzinach 11:00–17:00. Polska ekspozycja narodowa „Post-Apocalypsis” kuratorowana przez Agnieszkę Jelewską otrzymała Złoty Medal w kategorii sound design 13. Praskiego Quadriennale – największego na świecie festiwalu poświęconego sztukom wizualnym i performatywnym. 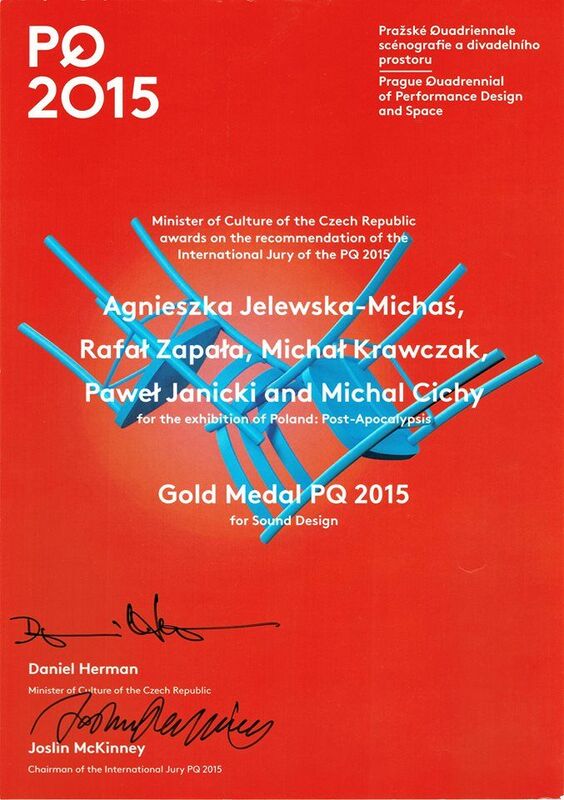 Polskie prace tylko trzykrotnie w historii Praskiego Quadriennale nagradzane były Złotymi Medalami. W 1967 roku wyróżnienie to otrzymał Andrzej Kreutz Majewski, a cztery lata później Jerzy Gurawski, Józef Szajna, Leokadia Serafinowicz i Zofia Wierchowicz. Ostatni medal został przyznany 36 lat temu – w 1979 roku w sekcji tematycznej za lalki nagrodzeni zostali Jan Berdyszak, Adam Kilian, Kazimierz Mikulski, Zofia Pietrusińska, Leokadia Serafinowicz, Zygmunt Smandzik, Zofia Stanisławska-Howrukowa i Jerzy Zitzman. Post-technologiczne doświadczenia. Sztuka-Nauka-Kultura to transdyscyplinarna konferencja składająca się z paneli dyskusyjnych, wykładów, performatywnych pokazów, warsztatów i koncertów. Tematy prezentacji konferencyjnych podejmują problematykę przemian, jakie zaszły pod wpływem technologicznego i naukowego rozwoju w sztuce i kulturze ostatnich dekad. Konferencja jest częścią programu edukacyjnego realizowanego w ramach projektu Sensorium Rafała Zapały (Rezydenci w Rezydencji, CK ZAMEK, Poznań). Od 23 października widzowie uczestniczyć będą mogli w cyklu wydarzeń prezentujących nowoczesne formy sztuki, która sięga po najnowszą technologię, media i badania naukowe. Oprócz możliwości uczestnictwa w Sensorium Zapały (instalację mogą odwiedzać pojedynczy widzowie po uprzedni zarejestrowaniu się na stronie www.sensorium.poznan.pl), w czwartek 23 października o godz. 18.00 odbędzie się wernisaż prac Opportunity Przemysława Jasielskiego oraz Na srebrnym globie Pawła Janickiego i WRO Art Group (Sala Prób), w piątek 24 października o godz. 17.00 zapraszamy na otwartą dyskusję Wizje przyszłości. Sztuka, nauka i technologia w XXI wieku (Hol Balkonowy), tego samego dnia o godz. 19.00 odbędzie się wernisaż pracy AURALROOTS Jill Scott, jednej z pionierek nurtu art&science. Polscy widzowie będą mieli okazję jako jedni z pierwszych na świecie zobaczyć i doświadczyć interaktywnej instalacji, kontynuującej autorski cykl artystki zatytułowany NEUROMEDIA. Panele konferencyjne odbywać będą się od soboty do poniedziałku w przestrzeniach Collegium Maius UAM (sobota) oraz Nowym Kinie Pałacowym (niedziela, poniedziałek). 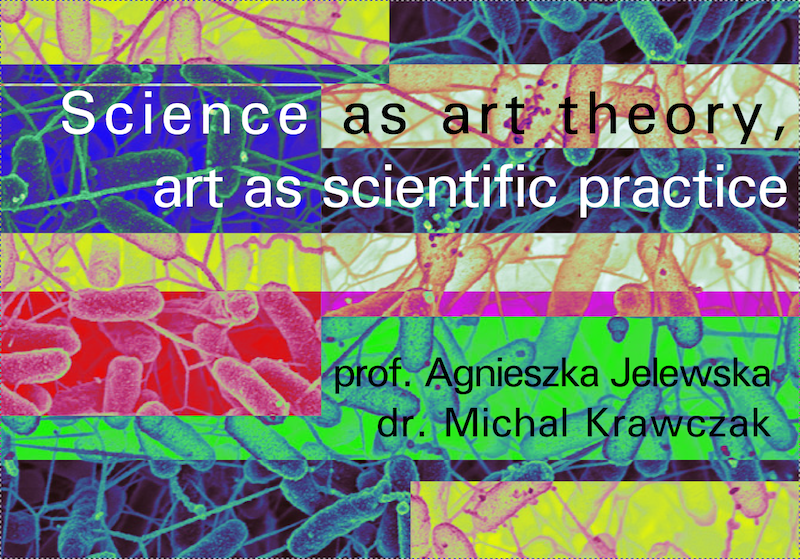 Konferencję zamykać będzie otwarty wykład prof. Jill Scott pod tytułem Re-composing Art&Science w poniedziałek o godz. 15.30 (Nowe Kino Pałacowe). Projekt konferencji jest kuratorowany i realizowany przez Agnieszkę Jelewską i Michała Krawczaka, założycieli Humanities /Art /Technology Research Center działającego na Uniwersytecie im. Adama Mickiewicza w Poznaniu.